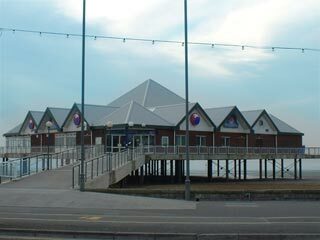 The Weston-super-mare Seaquarium was opened in 1995 built on the first seaside pier in Great Britain for over 85 years and is surrounded by 3 miles of beach. The Seaquarium contains amazing displays of sea creatures with an underwater tunnel and visitors can get closer to the beautiful creatures in the ray zone which features an open top display where the graceful creatures swim to the surface, the sides of the display are see-through enabling visitors to gaze underwater at the beautiful creatures. There are live presentations and feeding demonstrations throughout the day, listen out for the announcements. After your marine journey you can relax in the sea view tea room and don’t forget to visit the gift shop for a souvenir of your visit. The Seaquarium is open daily from 10.00am and children under 16 must be accompanied by an adult.